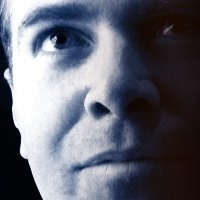 Steve Fowler is a 15 year veteran of the interactive entertainment industry. He has been responsible for crafting the brand image and marketing strategy of some of the most successful and influential video games in the business. Steve got his start in the games business at Interplay when they were a powerhouse game developer and publisher. While there, he worked closely as product manager with lead industry developers Black Isle Studios and Shiny Entertainment. After Interplay Steve joined Microsoft as a Product Manager. One of his first responsibilities there was working with an independent developer just acquired by Microsoft named Bungie. Steve worked as the lead product manager on Bungie’s Xbox game Halo, the most successful franchise in Xbox history. After Microsoft, Steve held positions as Senior Director of Marketing at Square Enix, Director of Marketing at Sega/Sammy and Business Development Manager at Take 2 (Indie Built Inc.). Steve most recently spent seven years as Vice President of Strategy and Client Service for the Ayzenberg Group. While at Ayzenberg Steve created the A List brand that now functions as a series of conferences and as a daily games business newsletter and website.